The $25,000 Rea Award for the Short Story has been awarded to RICHARD FORD. Jurors for the 1995 Rea Award for the Short Story were the writers Richard Bausch, Ethan Canin and Mary Morris. 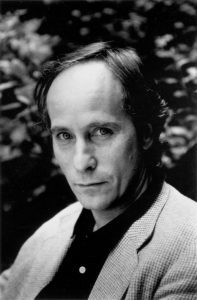 "Richard Ford’s power lies in the deceiving simplicity of his language, in the complexity of the emotions he explores, and in the extraordinary tenderness with which most of the people in his stories go about the solitary business of loving, and seeking love. His stories are exemplars of the form. For their clarity, for their unfailing grace, their intellectual beauty, they deserve to be celebrated." The Rea Award for the Short Story was established in 1986, to honor a writer who has made a significant contribution to the short story. It is given annually by the Dungannon Foundation to a living U.S. writer. The award cannot be applied for; the recipient is nominated and selected by a jury. Richard Ford is the author of four novels, A Piece of My Heart, The Ultimate Good Luck, The Sportswriter and Wildlife. A new novel, Independence Day, will be published by Knopf in June 1995. He is the editor of The Granta Book of the American Short Story. His short stories have appeared in Esquire, The New Yorker, Vanity Fair and Granta.